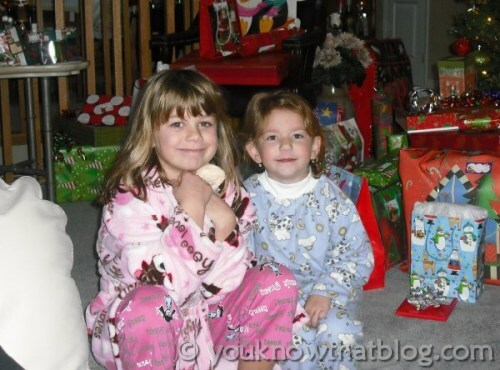 The Christmas Gimmies « You know… that Blog? Last year my family sat around, dazed, as we opened our Christmas gifts. At first, the kids were really into it, and tore in with great enthusiasm. Then a strange thing happened… the excitement waned, the piles of torn paper and discarded gift bags grew, and presents were barely glanced at as they were revealed, and set aside. We had reached critical mass. For my family, Christmas is not a religious holiday. We consider it a family and friend reconnection time. A time to put aside petty nonsense and day to day bustle, and enjoy being together. In our hearts, we (ok, the adults) realize that it isn’t about presents and “who gave who the best gift”. It shouldn’t be all about money, and trying to stay out of debt while providing what is expected of us. It should really be a focus on family. So we started talking about how to change things, and at the same time, teach our growing children that it’s a time for giving, not getting. We discussed going away and renting a cabin somewhere, and being very spare with gifts. That sounds great in theory, but in reality, right now we all have dogs, cats, other tiny non-portable pets, and of course, my aged grandmother, who is still hanging in there at 98 years old. She isn’t mobile either, and leaving her behind is not an option. So that option, as wonderful as it sounds, is not feasible this time around, and probably not for a few years. We hope that our kids realize and learn that giving to others is not a personal sacrifice, but a way to bring joy. Not only to those who receive our gifts, but to our own lives as well. I hope my kids grow up to be the kind of people who never think twice about helping people in need, or giving just to make someone’s day. I know I get the biggest kick out of paying for the people behind me when I go through a Tim Horton’s drive thru. I’m hoping that rubs off on them. It’s fun to give. I do like it when Santa doesn’t forget to leave me a little somethin’-somethin’ too though. Hey… I never said I was a saint! .-= Thom´s last blog ..The 12 Days of Christmas, Hawaiian Style =-. Yeah I had a look on the BT website and they don’t have live streaming :( Maybe I’ll get someone to tape it, and then upload it to the website… if I can get that, I’ll let you know, k? I am all about the receiving…now I know where my kids got it from! .-= Lee the Hot Flash Queen´s last blog ..I Drank The Koolaid =-. Great idea. Several people I know have stopped exchanging gifts with family members and instead have all put their money together to sponsor a family that can’t afford much for their kids Christmas. .-= Wizzy´s last blog ..Low Life Worthless Violent Thug: Maurice Clemmons =-. We have always used the season to give joy to those less fortunate. Whether it be donating blankets and coats to the coat drive, adopting “angels” off the angel tree, helping out at a local soup kitchen, etc. The kids really get a kick out of it. But they have never lacked, either. I’ve warned them that this year only one gift from Mommy and Daddy and one from Santa. They won’t miss it. Relatives always seem to go overboard even when we ask them not to. Oh Jenn, could you email me a heads up about next week’s haiku theme. I want to go ahead and schedule my post to go out. I put your reminder challenge in today’s post. Hopefully it will help bring more to the party! .-= Polly´s last blog ..Polly Needs… =-. Thankfully MiniMac is still 2 and isn’t all about the gimme….I think I certainly was growing up. Spoiled brat! And again, not a saint either. we are teaching him about charity though so hopefully that makes a last impression. .-= JennyMac´s last blog ..31 days of goodness =-.